The London Hydrogen Network Expansion project has set two new distance records in terms of powering fuel cell vehicles. 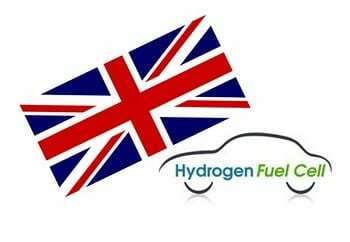 Working with several partners, the project has managed to achieve the longest journey in the United Kingdom on a single tank of hydrogen fuel. The project’s fuel cell vehicle has traveled 400 miles before needing to refuel. The vehicle has also achieved a new record for continuous travel, trekking some 9,096 miles over the course of six days. The project made use of Hyundai’s new fuel cell vehicle, the ix35, which was recently brought to the United Kingdom. The vehicle is equipped with a fuel cell system, which consumes hydrogen to generate electrical power. The fuel cell does not produce any harmful emissions, making the ix35 considerably more environmentally friendly than its conventional counterparts. The vehicle was used to set two new records during Hydrogen Week, which exists to raise awareness about the transportation benefits associated with fuel cell technology. The London Hydrogen Network Expansion project was first launched in 2012 and exists to create the United Kingdom’s first hydrogen-centric transportation system in London. The project has, thus far, successfully opened a fast fueling hydrogen station, which is open to the public. This station is designed to cut down on the time it takes to fuel vehicles equipped with hydrogen fuel cells. The project, as well as its numerous partners, are interested in further expanding the UK’s hydrogen infrastructure, helping make the country a leading clean transportation market. Fuel cell vehicles have yet to find any mainstream success. This is largely due to the low number of these vehicles that are currently available, but the lack of a comprehensive infrastructure has also made these vehicles relatively unattractive. Once a comprehensive infrastructure is in place, more consumers may be interested in fuel cell vehicles, especially as they become more invested in clean transportation.